Tiruvalluvar was born in south India and he wrote the book Tirukkural, considered as one of the greatest philosophical works in Tamil language. Tirukkural, also known as the Kural, features 1,330 poems in Tamil language. This Dravidian idiom is mainly spoken by Tamil people in southern India and north-east Sri Lanka. Gambling is a fun pastime but it can turn into an addiction. People win occasionally, but lose more often. However, problem gamblers mostly remember their wins. Tirukkural compares gamblers who seek a jackpot with fish that can’t resist the temptation of a juicy worm. 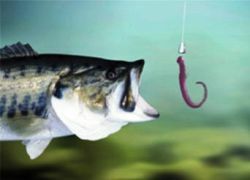 This tempting reward can have fatal consequences for fish. Additionally, Tirukkural compares the sun that burns a boneless creature with Natural Law. According to this concept, Dharma devastates heartbroken people. Success is all about timing and it’s crucial to know when to act and when not to. For example, a crow is able to defeat an owl in daylight, but it will be the other way around during night. For that reason, only an unwise crow will fight an owl at night. In other words: knowing your challenger’s weak and strong spots is crucial to avoid getting hurt. There are other things we can learn from animal behavior. Birds warn other birds of nearby danger, while they also call out one another after finding something to eat. Tirukkural stresses the importance of learning to manage our five senses.